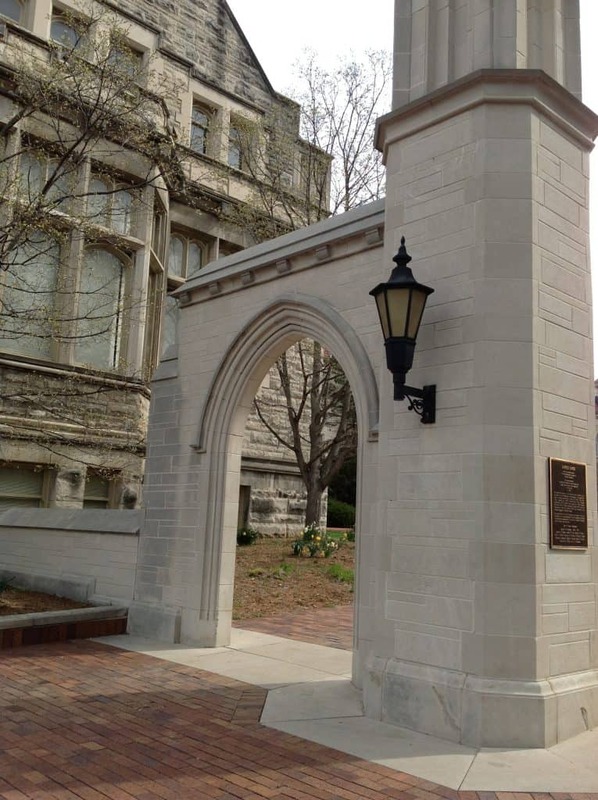 The famous Sample Gates at Indiana University. It’s hard to describe Bloomington, Indiana to a student from Los Angeles. Bloomington is the quintessential college town – at least an hour from any major city in any direction. A quaint little town with hotels, restaurants and trees decorated with sweaters knitted by customers of the local knitting store, Bloomington is home to 32,000 students at the flagship Indiana University. Students here enjoy very strong programs in music, business, public affairs and environmental affairs. There are no engineering or architecture majors. There are also programs in sports management and kinesiology, as well as a new public health program. The theatre program is well-respected. One of IU’s claims to fame is that their chemistry researchers invented the process by which fluoride was first able to be used in toothpaste. Urban legend on campus says that Proctor & Gamble purchased the patent from IU so they could use fluoride in Crest, and they gave the university a choice of paying them a penny per tube of toothpaste sold, or a lump sum of money (being strapped for cash at the time, they took the lump sum). I was unable to either validate or discredit this legend. Students benefit it many ways from IU’s size; off-Broadway productions visit campus regularly. The Lilly Library is the permanent home to one of the Gutenberg Bibles, as well as Sylvia Plath’s diaries. The 9/11 Commission members came to campus to speak on the 10th anniversary in 2011. 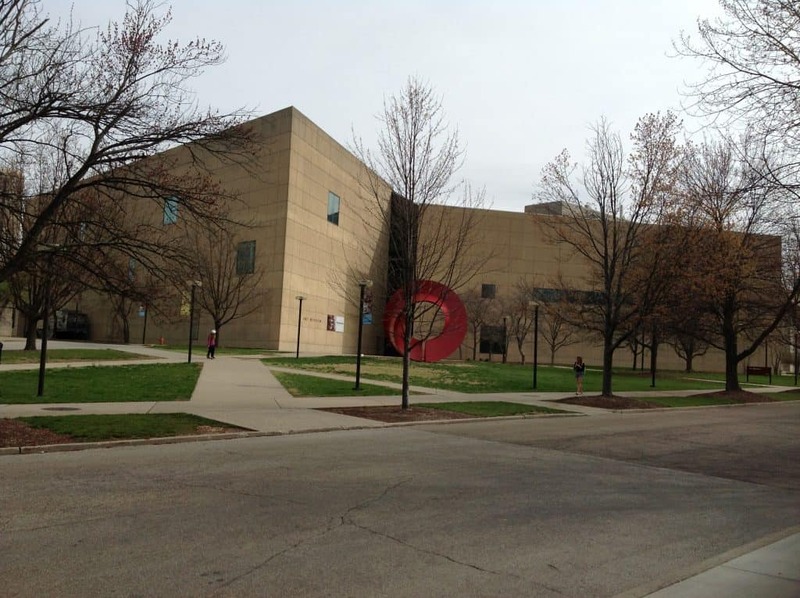 The art museum (which has no right angles) was designed by I.M. Pei. The beautiful campus is filled with buildings made from the famous Indiana Limestone, the same material from which the Washington Monument is made. 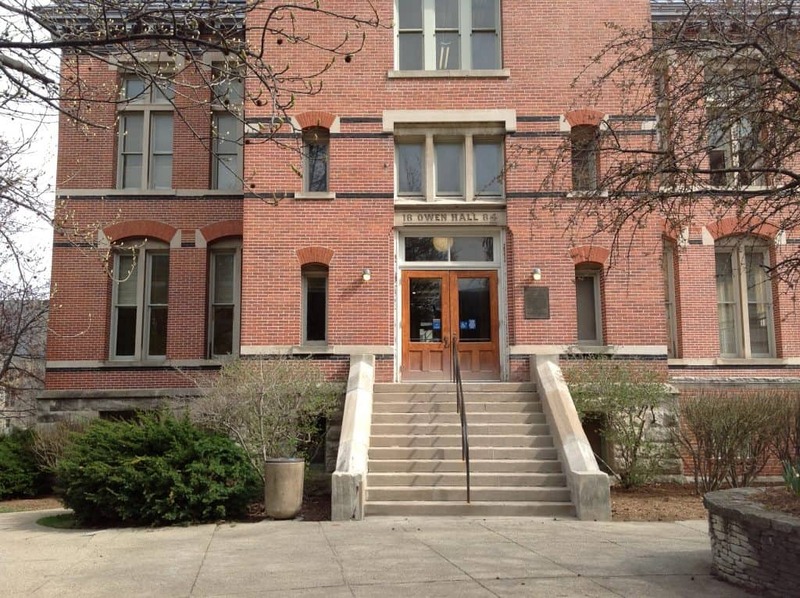 Two buildings on the sprawling campus, only two, are brick – Purdue brick (Purdue is Indiana’s in-state rival – Purdue offers engineering while Indiana does not). On the other hand, students also enjoy a 12:1 student-to-faculty ratio, with the largest lecture class around 375 students. My tour guide Bailey talked about several professors in her business courses and didn’t even think it was odd that most of the professors of whom she spoke were women. I.M. Pei designed IU’s art museum, which has no right angles, except for where the floors meet the walls. My tour at Indiana provided an excellent example of how having an excellent tour guide can influence your opinion of a school. We toured on a day when the admissions office was closed, but I asked Indiana’s Alpha Phi chapter in advance if they would be able to have someone give me a tour (I was an Alpha Phi at a different school.) Not surprisingly, one of their chapter members was a tour guide, as well as a former student body Vice President (this is not surprising as you will frequently find fraternity and sorority members involved in many other activities on campuses with strong Greek systems). Her four years on campus, as well as perspective as a deeply involved student added up to a great tour of Indiana University. You can see my Indiana University photo album here.